THANK YOU to everyone who has helped us with our fundraising, by supporting our events or holding an event of your own. We couldn’t do what we do without YOU! If you would like to hold an event, big or small, ask a group of friends, neighbours or work colleagues to help. They will support YOU because you are supporting our well-loved local charity. Or to give a donation, read our giving page here. See Events for our NEXT FUNDRAISING EVENT and do come along and support us! It can be a good excuse for a great social occasion with friends. Break the routine with cakes in the office or a dress-down day at school. The only limit is your imagination! Fundraising does not have to be standing outside a supermarket with a collection tin – although that is very useful and can bring in £5-600 on a good day. However, you may decide to hold something simple like a coffee morning, organise a book sale or have a clothes and accessories swap; or go a bit bigger in one of our lovely village halls with band, dancing and supper provided by a group of your friends. A quiz night is fun with a snack supper, or you may know someone who is a good raconteur who will give a really interesting talk with photos. Keep ticket prices to a reasonable figure, and holding a raffle at an event always boosts the amount raised. If you need help with posters, tins or advice get in touch – and please send us your photos! Contact us on info@leagueoffriendsmusgrovepark.co.uk. Challenge yourself to get out there and get fit! Start your own Just Giving page for the League of Friends at www.justgiving.com/lfth. The Olympic legacy could inspire you to do a sponsored cycle ride, hike or swimathon. You may not feel ready for John O’Groats, but there are some fantastic new cycle routes not far away – which are also good for walking and are relatively level. The Ilfracombe to Plymouth cycle route winds around the shoulder of Dartmoor and across two new viaducts, and even links up with a route across Brittany; or the Avon gorge route goes from the mouth of the Avon and links with the Kennet and Avon Canal to Reading or even London. Nearer is the attractive cycle route around the Exe estuary: Exeter station to Starcross, ferry to Exmouth and back through pretty Topsham on a new cycleway and bridge – about 25 miles with good pubs and cafes en route. (To get there, bikes go free on the train). It is easy to start your own Just Giving page so you don’t have to go round collecting sponsorship money. Or we can provide paper sponsorship forms if you wish. Let us know what you are doing and please send us photographs! Whatever you decide to do, you can be sure that your friends will support you – because it is YOU – doing something wonderful for others! Whatever it is, we will be very grateful and so will the staff and patients at Musgrove. Thank you! 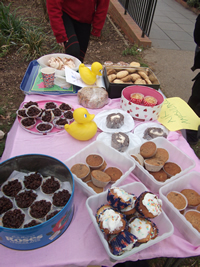 Fundraising groups as diverse as golf clubs, schools, WIs, a choir, church and garden groups raise money for us as their Charity of the Year. Thank you to them all! 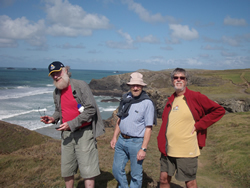 Would your group or organisation consider the League of Friends as their charity please? We would love to come and meet you and to give a presentation to members about our work, free of charge. Contact us on info@leagueoffriendsmusgrovepark.co.uk. 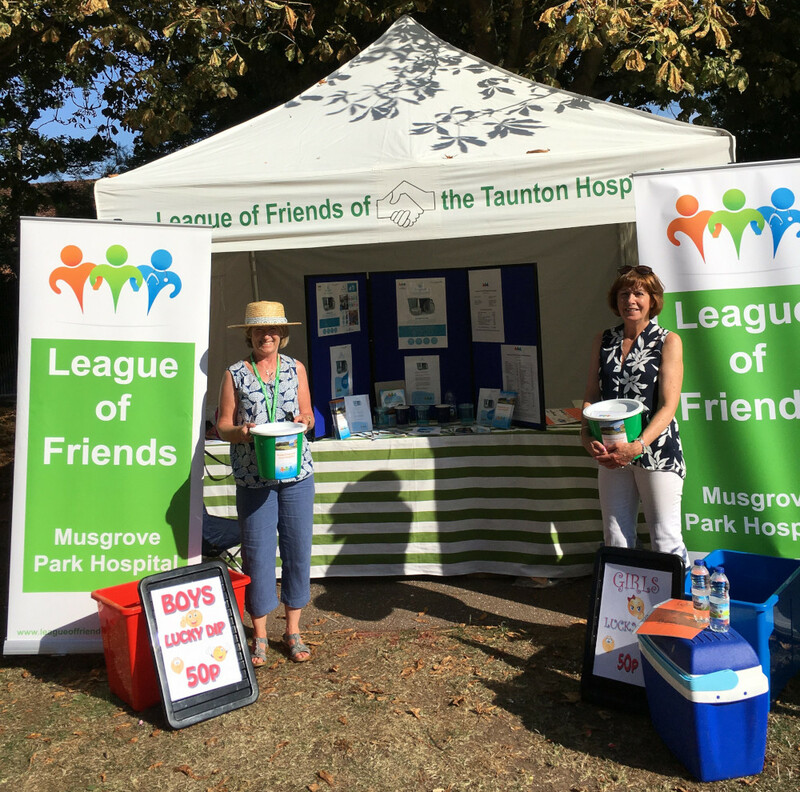 If your company would like to support the League of Friends we would be very grateful if you could help promote the appeal for the Spinal Microscope or help the general fund. Many of your customers, some of whom may decide to help, will be pleased to support YOU because of your support of a local charity, demonstrating your commitment to Corporate Social Responsibility. This is turn will help to engage your staff and could be the motivation for team building events. Would you be able to help in some of the following ways? Incorporating a small donation in the price of a particular sales line eg Pizza Express give 50p from each “ Neptune” pizza to the RNLI. Encourage your staff to organising a fundraising event for us or designate a particular day, week or project as “for the League of Friends”. If you would like to know more about how your company can support the League of Friends, or would like any fundraising resources, email info@leagueoffriendsmusgrovepark.co.uk.